This truly was a marvellous read. Charming characters, good plot, fun concept, but also very thought-provoking and inspiring. Anything can be art; the value of what we do is decided only by ourselves. It made me want to pick up my own pen and write! This was a pleasantly fast read, being a novella written for a YA audience. I did enjoy reading it, the concept of the story is interesting and gives food for thought on the way we construct our history and concept of truth and reality, both individually and as a group. This thread is what kept me reading. The book is well edited with no glaring errors in spelling, punctuation or grammar, which is always nice to see in self-published work. It shows the author has put in plenty of effort. There were a few things I felt left much to be desired, though, in particular character development. The characters felt flat and faceless to me, as they weren't described very much, and because of this I found Leia's attachment to them somewhat unconvincing. I also didn't feel there was enough description of the island itself, so beyond there being a house, a beach and some trees I didn't really have a mental map of what was going on. Overall I feel this is a story which has a lot of potential of being developed further into a full novel, with deeper character portraits and more time given to exploring the island and the history of its inhabitants. It was a good introduction into self-published work for me, as I am keen to find more! 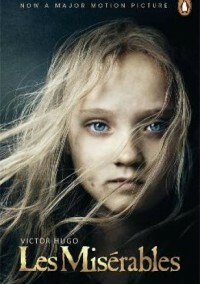 I don't know the story of Les Misérables. I've never watched any interpretation of it, and I am determined not to until I finish reading this first. The problem with this is that, well, I don't know the story. And at 48% of the way through, so far, there doesn't seem to be much of one. At least, for the number of pages I've read, it feels as though around only 5% of those has contained any actual story. I'm disappointed, to say the least. I usually love classics, and this one is just leaving me cold. I've been having to read other books between volumes just so that I don't kill my enthusiasm for reading forever, and I'm usually monogamous in my reading. More than once I've been tempted to just give up on it. Yet as soon as I reach that point, suddenly I'll be captured by a beautiful turn of phrase, or hooked into a bit of something actually happening. What are you, Les Mis?